At the meeting on 26th February there were updates about the London Plan examination and the increasing enforcement against encampments through Borough injunctions and recent government proposals. 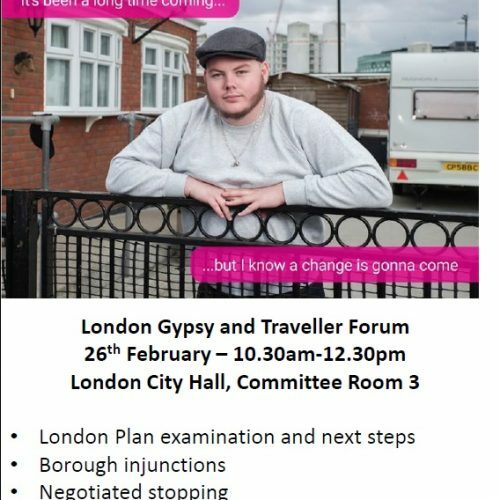 There was discussion on the support provided by the GLA to councils regarding Gypsy and Traveller accommodation needs assessments and the need to make this process more transparent. 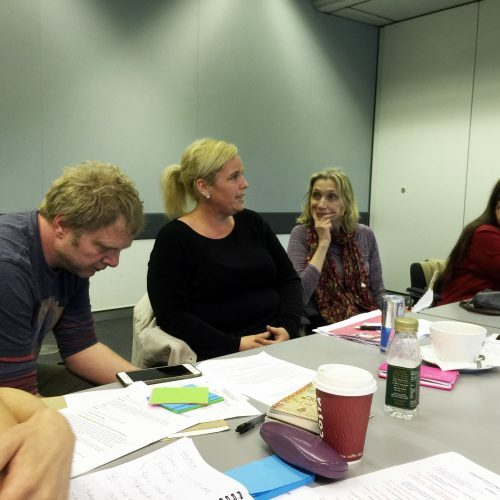 There was also an update on the research LGT is undertaking on the opportunities to implement negotiated stopping in London, a project funded by the GLA. The main topic of the day was living with uncertainty in housing, on sites or camps and how this affects Travelling communities and reinforces the discrimination and fear of authorities. There were reflections on the mental health and human cost impacts of the 2012 Olympic relocations. 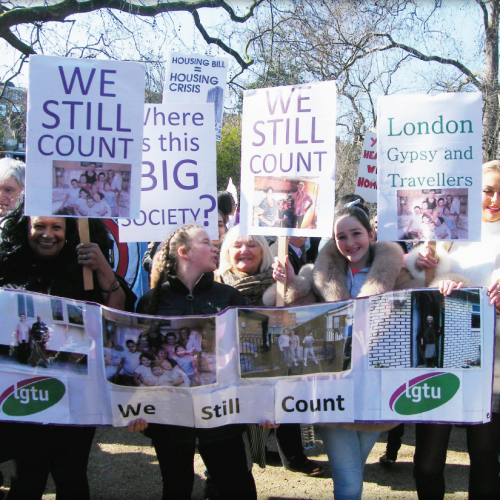 The London Gypsy and Traveller Forum is an open meeting of community activists, support organisations, professionals and elected representatives held every quarter at London City Hall. The main aim of the forum is to influence the Mayor of London’s strategies and London Plan so that politicians and policy makers recognise the needs of the community and develop inclusive policies. There is an open invitation for all to take part. Meeting dates can be found in our news and events section, and more information is available from policy@londongandt.org.uk. Below are some minutes from past meetings, presentations about Gypsy and Traveller issues made to meetings, and key documents put together through the forum. And don’t forget to sign up for the Forum’s mailing list.